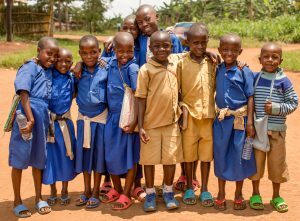 Orphan Sunday is a global ecumenical movement that advocates for orphaned children; it mobilizes churches on the second Sunday of November for “One Day, One Voice, One Purpose.” Photo courtesy of Christian Alliance for Orphans. When Jesus taught in parables, his metaphors powerfully engaged listeners because they were so often unexpected – even shocking. Many still are. The image of a mustard seed to teach about faith retains its capacity to compel through surprise. Jesus gave a parable: “The kingdom of heaven is like a mustard seed that someone took and sowed in his field; it is the smallest of all the seeds, but when it has grown it is the greatest of shrubs and becomes a tree, so that the birds of the air come and make nests in its branches’” (Matthew 13:31-32). Along the same lines, Saint Luke recorded Jesus as saying, “If you had faith the size of a mustard seed, you could say to this mulberry tree, ‘Be uprooted and planted in the sea,’ and it would obey you” (Luke 17:6). Jesus begins by emphasizing that a mustard seed is the smallest of seeds, but he ends by pointing to its full-grown stature: the largest of shrubs, a home for wild creatures. And Jesus assures that small faith (faith like a mustard seed) will bring about huge miracles. But that definition represents the fully-grown mustard tree, standing splendid in the field – the mountain already tossed into the sea! Orphan Sunday began as a very small seed planted by one passionate pastor in a tiny congregation in Lusaka Province, Zambia. Pastor Billy Chondwe describes God putting a burden on his heart as he ministered to his little flock in Kalingalinga township in the early 2000s. The burden was for barefoot and ragged children whom he saw coming to his church without parents. Orphans in Zambia, as in many other places, struggled to survive in the face of material desolation and social ostracism. God pressed Pastor Billy to see how out of step with scripture such a situation was. As Pastor Billy prayed for direction on how to relieve the burden, he recalls frustration: members of his congregation were impoverished, so how could they meet needs of others, needs so far beyond themselves? After months of struggle, Pastor Billy preached from the Bible passages God had been showing him. He devoted a church service to proclaiming God’s Word about the orphan and praying for the orphan; then he took a special offering and distributed it to the children who had so little. One man, one small congregation, in one poor township: just the sort of mustard seed Jesus was describing! Pastor Billy’s act of obedience that morning had an immediate effect, as word about the message and the outpouring of love during the “Orphan Sunday” service spread from Lusaka to Luapula, then to Mochinga, then to all the provinces of Zambia. There was no advertising, no official promotional campaign. There was only word of mouth as Christian communities in one village or township passed the concept on to Christians down the road. One year later, hundreds of churches all over that country were celebrating “Orphan Sunday” for themselves. Another mustard-seed miracle story, ZOE ministry serves tens of thousands of orphans on three continents by taking them through a three-year empowerment and education cycle. ZOE is unique in its approach to orphan care in that the goal is self-sufficiency within three years, rather than childhood-long support. Headed by an ordained elder in the Texas Conference of the UM Church, ZOE is Advance #982023 for the Board of Global Missions. ZOE offers UM congregations multiple ways to engage in orphan care, even trips to visit the orphan-headed households being trained in the program. (CEO Rev. Gaston Werner gives a compelling Orphan Sunday message.) Find out more: wearezoe.org. Photo courtesy of Zoe. Schneider took the concept of Orphan Sunday home with him. As Orphan Sunday was celebrated in every province in Zambia that next year, 2003, it was also celebrated in several churches in the United States. Every year since, the momentum for Orphan Sunday has kept building. The number of churches involved has grown exponentially, now encompassing thousands of congregations across the United States as well as in countries in Africa, South America, Asia, Europe, and in Australia. 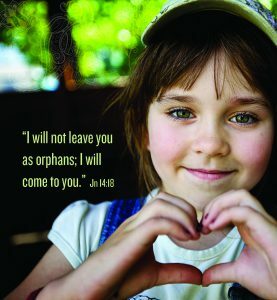 The Christian Alliance for Orphans, a U.S.-based consortium of global leaders in orphan care, now helps to promote the Orphan Sunday campaign by resourcing participants and providing support and networking. Clearly, Pastor Billy’s mustard seed of faith has brought miracles not just of momentum but of multiplication, too. Today, the “One Day, One Voice, One Purpose” description of Orphan Sunday understates the complexity of the objectives of this mighty movement. Pastor Billy’s immediate burden was to fill the hungry bellies of children in his church; the burden for the global Orphan Sunday community is harder to encapsulate. While Orphan Sunday churches stand on one day and speak with one voice about the heart of the Father for orphans and vulnerable children, churches embrace different emphases as they pursue the purpose of every child knowing the love of a family and of the heavenly Father. Some churches emphasize the ministry of adoption. Pointing both to the identity of all Christians as adopted children of God and to the history of Christians as counter-cultural adoptive families from the Roman Empire through modern times, such an emphasis underscores Christians’ status as rescued children and translates that to a call to rescue children. Such churches may encourage and equip potential adoptive families, provide resources for adoptions, or host support groups for adoptive parents. Other churches focus more on the foster care crisis in America, and the scandal of abused children sleeping on the floor of CPS workers offices because there are no beds ready for them in foster family homes. Still others emphasize child sponsorship as a way to keep families intact and prevent more children from becoming orphans. Churches approach Orphan Sunday’s “One Purpose” in a diversity of unique ways such as supporting group homes, encouraging in-country adoptions in regions of the world where cultural superstitions make that rare, and providing mentoring to young adults who have aged out of foster care. So, what does this Orphan Sunday phenomenon have to do with United Methodists? 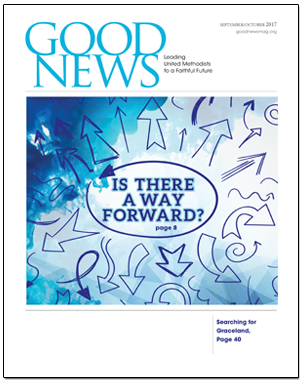 First, it is a precious gift to us – fresh evidence that we serve a God who delights in exceeding our expectations and hopes, and a reassurance that faithfulness to scripture really does unleash Spirit power, in God’s timing. Second, it is a reminder to us. God’s priorities have not changed. God’s nature has not changed. God has been and always will be vested, deeply and personally, in the plight of those who are destitute and defenseless – in particular, children (see Deuteronomy 10:18; Psalm 10:14; Psalm 68:5-6, Isaiah 58:5-12, Matthew 18, among others). We must not change our priorities according to the changing nature of the culture if we want to worship and grow in the image of the One who invites us to call Him “Abba” – “Daddy,” because God specifically commands us to reflect his special love for orphans in both word and deed (see Isaiah 1:17; James 1:27; Matthew 25:40, among others). Finally, Orphan Sunday is a template for us United Methodists. Wesleyans are a perfect theological fit for Orphan Sunday: We embrace our adoption by the King of Kings, and we articulate our Christian walk as a process of growing in grace as God’s adopted children. Our very identity in Christ nudges us toward the work of evangelism and social holiness. Orphan Sunday makes the gospel of Jesus Christ clear in calls to action and in actions themselves – a distinctly Methodist combination if ever there was one. At a time when our United Methodist witness is too often polluted by politicized posturing or dilluted by the need to defend axiomatic principles, Orphan Sunday offers a refreshing alternative: Through Orphan Sunday we United Methodists have an opportunity to celebrate what God is already doing through someone else’s mustard seed of faith – as well as an opportunity to give God our own mustard seeds of faith in joyful anticipation of what he will do next. In Orphan Sunday we have a tangible way to be connected to a powerful movement of the Spirit, and to stand as part of the church catholic, in solidarity with brothers and sisters across the globe. Perhaps most important to God’s heart and most necessary for ours, Orphan Sunday positions us to reach out in love and support of the millions of orphans and vulnerable children who need the hope and help which we, as God’s children ourselves, can provide. Jesus’ parable of the Kingdom of Heaven points to a mustard-seed grown tall and sheltering, matured into a place where birds can nest. How beautiful it would be if our mustard seeds do likewise, and grow into Kingdom places where little ones can find shelter and assurance of their preciousness to the One who made them, and us, and the mustard seed tree. Shannon Vowell writes and teaches on loving Christ and making disciples. For more information, visit cafo.org (The Christian Alliance for Orphans).